Need to sell your home as fast as possible? Want to make a great first impression, sell your home quickly and profit? Feeling overwhelmed that you need to sell your home and you have no time to do it all yourself? Not generating the interest you had hoped for and now you are looking at a price reduction? OUR HOME STAGING SERVICE PROFESSIONALLY PREPARES YOUR HOME FOR THE REAL ESTATE MARKET. Everyone wants their home to sell fast and for top dollar. Staging is about securing the equity in your property. Home staging is an investment that can actually save you time & money, and in some cases even make you money. Depending on the condition of your home, preparing your home can be quite a bit of work, but it can also be easier when you have the proper guidance and help. Most often we work our creativity and use your existing belongings, re-arranging your own furniture and accessories while packing any unneeded items while the home is on the market. Our goal is to help give you a competitive edge over the other homes in the area. We understand you are moving and you don’t necessarily want to invest any more time and money in a home that will be someone else’s, however if you don’t want to do the work, why would a potential buyer? Look at it this way, if you show your home at its best, you can move on without getting caught with 2 mortgages or holding showing after showing wondering why you can’t sell your home. Before Staging: Great for living, but not for selling! After Staging: A beautiful, functional & inviting space. 95% used what was in the home! 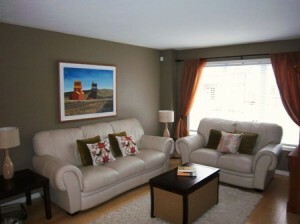 Property Staged exists because we fully understand that selling a home can be a stressful time. Life brings change and challenges and while most times these are good, other times they can be difficult. Too many times we see people rush to get their home on the market without time for the final touches. We realize you have your reasons, but first impressions are so important. Do not let life hinder the chance of you getting the most for your investment. From the moment potential buyers view your homes’ online pictures, they need to be impressed. You need to attract as many people to book an appointment to view your home. This can be a challenging process because everyone has their own taste and idea of what they want, which is why we help you notice the “little things” in your home like a selective buyer does. Taking a step back and realizing that you need some help is the best thing you can do; money wise and time wise. This is what we love to do, and why we do it. If you do not have the time to deal with important key items, think about contacting us to help you out. The more potential buyers you attract, the better your chance of selling faster and for a higher profit. Property Staged works with you directly or through your Realtor. Some Realtors include our staging services at no extra charge to you because they understand the value and difference a properly staged home can make. Hiring Property Staged is one of the best investments you can make because we possess the right balance of education, experience and creativity to manage all chapters of your project and to transform your vision into a reality. We get them to your doorstep and “wow” them from the moment they pull into your drive way! Unfortunately living in your home and selling your home isn’t the same. Now is the time for you to take a step back and realize what needs to be done to ensure your home is set up properly for what the buyer wants. It is important to understand why: to help you sell your house. The process goes much smoother when clients understand this is no longer “home”. Our suggestions are never personal and are always in the best interest of the home owner. We understand it isn’t easy to have someone walk through your house and single things out, or change things around because you like them the way they are; it doesn’t mean it doesn’t look good, it is just not functional for selling purposes. You want potential buyers to be able to imagine themselves living there and we know what potential buyers are looking for. So the best way to do that is to follow our professional advice. People are in your home to look at the structure itself, the space, and how functional it will be for them; not your personal belongings. Some items actually distract buyers, so our goal is to show your home at its best and highlight the positives! 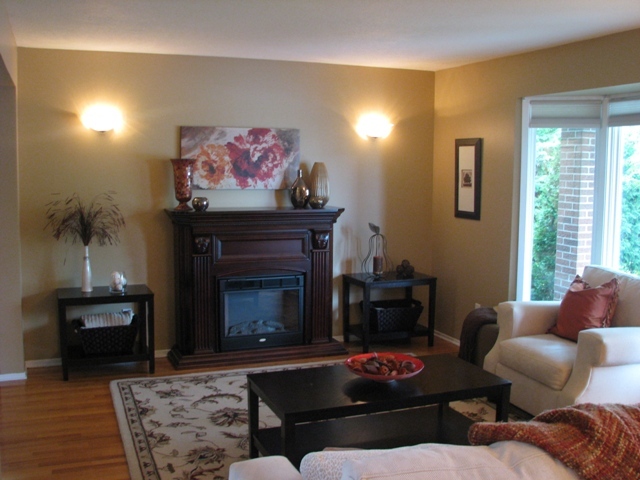 Staging properly is vital so that your home stands out above the rest. Each property is unique; homes vary in size, design and décor so it is impossible for us to propose a dollar amount before viewing a property. If you are not sure what you need – start with a Verbal Consultation. You will receive a $25 booking bonus on any staging package after a verbal consultation. However, if you know what you want, then please feel free to select a package below – at any time we can modify a package if needed. Generally, preparing a house involves de-cluttering, organizing, cleaning and sometimes minor renovations; with the proper guidance, you will be on the right track of knowing what needs to be done. Our suggestions are always made in the best interest of you and your budget. This step allows us to get a tour of the area(s) in need and give the stager a general overview of the home and get a feel for the space. We then will sit down and discuss budget and any changes that are wanted or needed. General notes, measurements and pictures will be taken for our own research purposes if needed. This does not involve any staging, just answering questions, discussing your options, possibilities, and plans. Receive a $25 booking bonus towards any staging package after this consultation. This step is recommended more for vacant homes, or homes that need furniture and accents, or if you plan to do all the work yourself and just want to make sure you are on the right track. If required, an estimate will be provided within 2 business days. We are always here to help with as much as you need us to and it is your decision to make the call on what work you would like to complete yourself, and what work you would like Property Staged to complete or source out. 2. 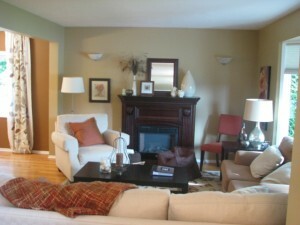 Staging Consult $245 (up to 2 hours) Full consultation with personalized notes, recommendations and check-list. Our “Full Consultation” starts from the exterior curb appeal and goes throughout the whole home. This consultation may last up to 2 hours but holds no minimum time. Verbal recommendations and written notes are given onsite, as well as a check-list and paint selection if needed. The consult begins by taking the professional stager on a general tour of the home, giving the stager a better understanding and idea of what items are in the home to determine how we can help show your home at its best. If required, we may help you get the ball going by moving some items to help save time. Once completed, the stager will walk through the home completing a room by room check-list, taking any before pictures if needed. Once the assessment is complete, you are left with a check-list and a list of specific recommendations. We highly recommend you take the time to review the list and go over everything. Our recommendations are always in your best interest. You always have the option of getting some extra help should you feel you need it. Property Staged is here to complete or source out any work as required. 3. Full Staging Package $350 a full consultation with personalized notes, recommendations and check-list (up to 2 hours) + and final touches (up to 1 hour). This is our most popular package because it includes one of the most important steps in staging, the final touches. It truly makes a difference and clients appreciate the extra help and reassurance things were done correctly. Part 1. The “full consultation” starts from the exterior curb appeal and goes throughout the whole home. This consultation may last up to 2 hours but holds no minimum time. Verbal recommendations and written notes are given onsite, as well as a check-list and paint selection if needed. The consult begins by taking the professional stager on a general tour of the home, giving the stager a better understanding and idea of what items are in the home to determine how we can help show your home at its best. If required, we may help you get the ball going by moving some items to help save time. Once completed, the stager will walk through the home completing a room by room check-list, taking any before pictures if needed. Once the assessment is complete, you are left with a check-list and a list of specific recommendations.We highly recommend you take the time to review the list and go over everything. Our recommendations are always in your best interest. You always have the option of getting some extra help should you feel you need it. Property Staged is here to complete or source out any work as required. Part 2. Once the recommendations are complete, we return to the property to complete the important step called the “final touch staging”. We return to the property and tweak anything we feel necessary before the final listing photographs are taken property to complete the work. (I.e. putting up or moving existing artwork, adding any last touches, removing items that were missed etc…) These photos are the key to attracting buyers to view your home. This option is great for homes that are almost ready for listing photos or in a rush to list and need to make as much of an impact as possible. The staging begins by taking the professional stager on a general tour of your home, giving the stager a better understanding of how each room is set up, what each space has, what other items are available to use in order to ensure your home is shown at its best. This is a hands on staging job – meaning we will move any items we feel is important. We will always discuss our plan with you before starting and make sure there are no problems before starting. Once completed, the stager will leave a small bonus list of items to do, or to get items, if necessary. Generally there are items that need to be packed up or put away – which is up to the home owner to take care of. If you feel at this stage you would like extra help, that we can provide a free estimate to complete all or part of the recommendations. A customized package can be created based on the services required. Packages can be adjusted if more help is required. If you hire us after a verbal consultation, we will reimburse you with a $25 signing bonus. Interested in seeing more of what we do ? LIKE our Facebook page. Have questions? Contact us here.